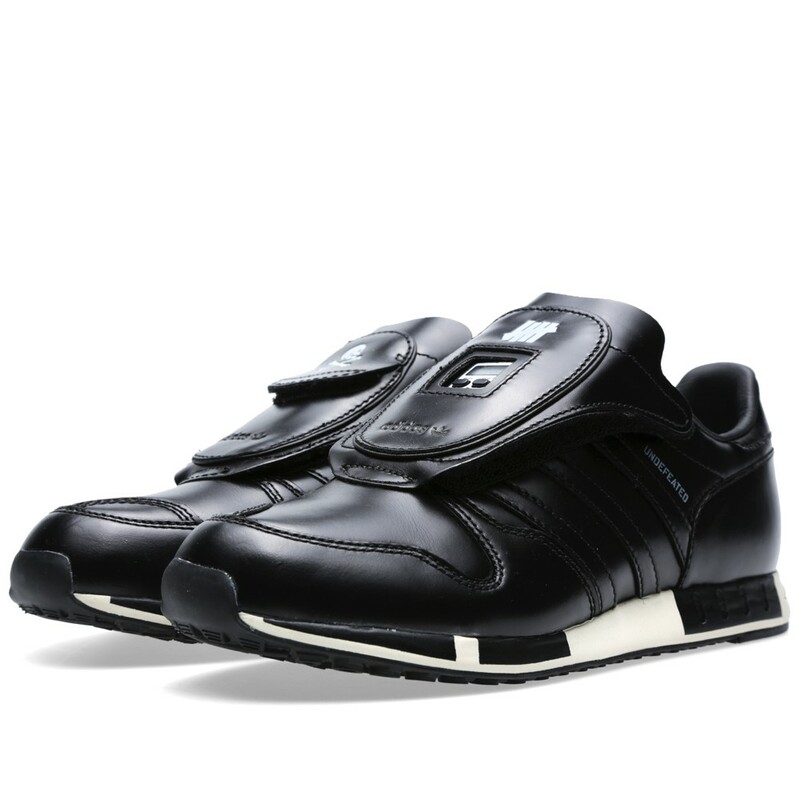 Undefeated’s fashion-forward athletic approach is perfectly translated through the choice of two very different shoe models, the Micropacer and Official Mid 80s, whilst Neighborhood’s premium-cut nature and use of bold graphics is reflected on the uppers. 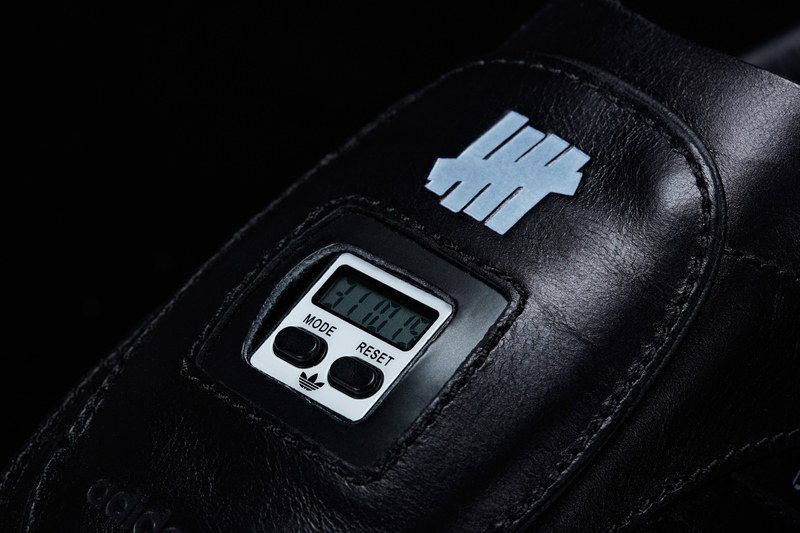 Amidst the bridle leather and full nap suede lies a bold triple branding, showcasing Undefeated”s iconic Five -Strike logo and Neighborhood’s skull and crossbones motif within a tongue label that pays homage to the vintage years of Adidas. Alongside the footwear, the collection includes two t-shirts, one black and one white, featuring bold branding across the chest which is a must have if you are going to get this colab and complete your look. 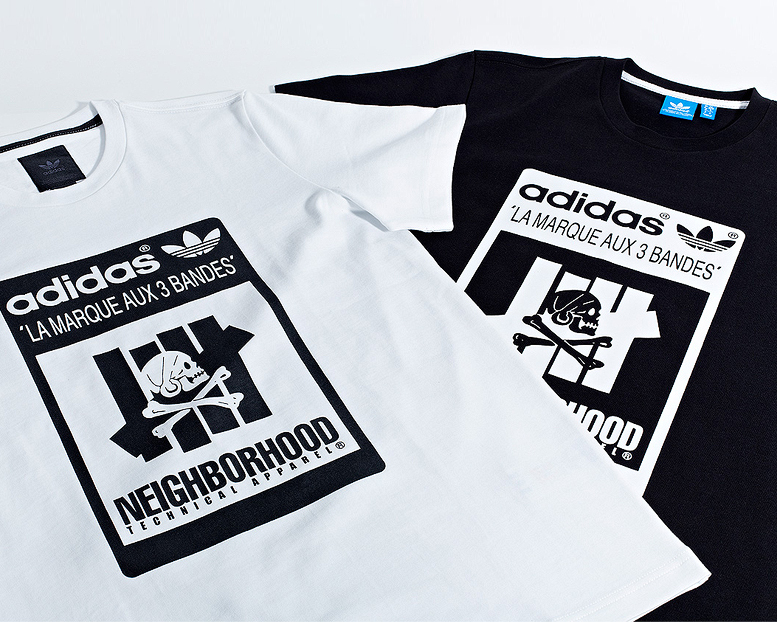 The Adidas Consortium x Neighborhood x Undefeated collection will be available 00:01 GMT on Saturday the 19th of April from most Adidas Consortium accounts such as End and Crooked Tongues. Click on the links below for pricing and availability.